Posted by Dave Emory ⋅ May 30, 2018Post a comment Email This Post Print This Post Tweet This! Introduction: In recent programs, we examined complex interactions between a group of European politicians dubbed “The Hapsburg Group,” former Trump campaign manager/ former adviser to former Ukrainian president Viktor Yanukovuyuch and probable U.S. intelligence officer Paul Manafort, and the Ukrainian government. In turn, members of the Habsburg family–the Royal House of the former Austro-Hungarian Empire–have been active throughout Europe and in their former principality of Ukraine. 1a. 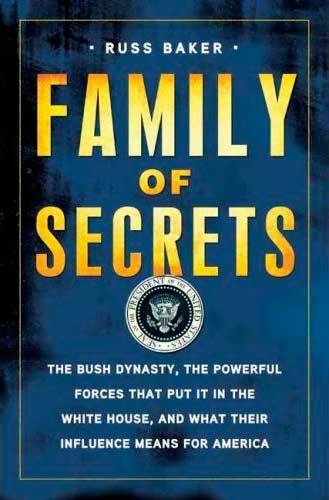 In his introduction to The Old Boys, author Burton Hersh notes the Wall Street legal backgrounds of William “Wild Bill” Donovan, Allen Dulles and Frank Wisner, and opines that the methodology of an intelligence service is like that of a Wall Street law firm. The Old Boys: The American Elite and the Origins of The CIA by Burton Hersh; Charles Scribner’s Sons [HC]; Copyright 1992 by Burton Hersh; ISBN 0-684-19348-5; p. 3.
. . . . Donovan’s profession was relevant, and it is equally no accident that all three load-bearing protagonists throughout this work—Bill Donovan, Allen Dulles, Frank Wisner—achieved status in America by way of important Wall Street partnerships. In many ways, a trusted corporate attorney accomplishes substantially for his clients what today’s one-stop national intelligence factory goes after for its patron: he puts the deals together, he damps down crises and flaps, he keeps the process as confidential as possible. He finds out everything he can and resorts to every means imaginable to shape the outcome. He proceeds by the case system, and preferably one emergency at a time. Furthermore, an intelligence service concocted by lawyers—men accustomed not merely to spotting the problems but also to defining them to their clients and recommending appropriate action—is far more likely than a traditional military intelligence staff to reach in and condition policy. Attorneys have a seductive way of subordinating their clients, of insinuating their legerdemain until they become the strategic entanglements. And thus it develops that in many strategic entanglements the lawyers have at least as much control over the outcome as elected officials. . . .
1b. Carrying his observations further, Hersh analyzes the findings of the Church Committee investigating CIA abuses, seeing those abuses as stemming from the opaque machinations of a Wall Street law firm acting on behalf of a corporate client. The Old Boys: The American Elite and the Origins of The CIA by Burton Hersh; Charles Scribner’s Sons [HC]; Copyright 1992 by Burton Hersh; ISBN 0-684-19348-5; p. 291.
. . . . “Policy direction,” the Church Committee experts concluded, “took the form of condoning and fostering activity without providing scrutiny and control” or “establishing firm guidelines for approval.” Wisner built his covert-action factory around procedures analogous to those which prevailed in the important law firms, where high-powered business getters easily cornered the lucrative partnerships, brought in preferred clients, raked off contingency fees and skirted the more controversial details when delineating touchy cases in front of staid senior figures. The key was breadth, internal velocity, compounding billable hours. The impact on society, like the ethics of the client, appeared beside the point. . . . The Old Boys: The American Elite and the Origins of The CIA by Burton Hersh; Charles Scribner’s Sons [HC]; Copyright 1992 by Burton Hersh; ISBN 0-684-19348-5; p. 34.
. . . . Barely returned from Siberia, Ruth Donovan was disheartened in February 1920 to hear that her husband had picked up yet another excuse to travel. He was quietly approached by representatives of the preeminent firm of J.P. Morgan and Sons. The country’s most influential investment bankers were reconnoitering the market for a $2 billion package of securities around Central and Eastern Europe. . . .
. . . . This junket in and of itself amounted to a kind of one-man intelligence sweep, an effort to assimilate, interpret, and ultimately project as a finished report information on which both judgments and predictions might reasonably be based. Donovan’s notes would amount to a rudimentary version of what later espionage services would title a national intelligence estimate. . . .
3. A “sympathetic” Donovan met with Adolf Hitler in 1923. This must have been earlier than November 9th of 1923, the date of the Beer Hall Putsch. Hitler would have been in Landsberg Prison after that. The Old Boys: The American Elite and the Origins of The CIA by Burton Hersh; Charles Scribner’s Sons [HC]; Copyright 1992 by Burton Hersh; ISBN 0-684-19348-5; p. 55.
. . . . These early fact-finding missions had left the agile, energetic attorney eager to track events. Months at a time—and normally without Ruth—would find him popping up abroad, frequently near some political trouble-spot. As early as 1923, he materialized in Berchtesgaden to share a beer in the Gastzimmer of a modest pension with Adolf Hitler. The clammy young rabble-rouser ranted to the sympathetic attorney that he, unlike the family dog, could not be beaten by his miserable father until he wet the carpet. . . . . The Old Boys: The American Elite and the Origins of The CIA by Burton Hersh; Charles Scribner’s Sons [HC]; Copyright 1992 by Burton Hersh; ISBN 0-684-19348-5; p. 27.
. . . . The Hapsburgs would desert Germany in return for an American commitment. Subsidized by the United States—which brought over to Europe the President’s close adviser Professor George D. Herron to impart Wilson’s vital imprimatur—this updated Hapsburg sovereignty must commit in advance to eradicating the Bolsheviks. A revitalized Austro-Hungarian buffer zone to fend off Soviet penetration of the Balkans turned into a lifelong chimera for Dulles, and spurred his devotion over the many years to some manner of “Danubian Federation.” . . .
5. One of the concepts central to understanding an extension of the U.S. intelligence/Hapsburg anti-Communist alliance is the concept of “The Christian West”–explained in the description for AFA #37: ” . . . . When it became clear that the armies of the Third Reich were going to be defeated, it opened secret negotiations with representatives from the Western Allies. Representatives on both sides belonged to the transatlantic financial and industrial fraternity that had actively supported fascism. The thrust of these negotiations was the establishment of The Christian West. Viewed by the Nazis as a vehicle for surviving military defeat, ‘The Christian West’ involved a Hitler-less Reich joining with the U.S., Britain, France and other European nations in a transatlantic, pan-European anti-Soviet alliance. In fact, The Christian West became a reality only after the cessation of hostilities. Chief among the American negotiators was Allen Dulles. Donovan also appears to have played a significant part. 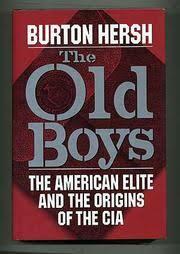 The Old Boys: The American Elite and the Origins of The CIA by Burton Hersh; Charles Scribner’s Sons [HC]; Copyright 1992 by Burton Hersh; ISBN 0-684-19348-5; pp. 102—104. . . . . As early as winter of 1942, Schellenberg hinted to the uneasy Himmler that he now intended to launch discreet soundings. These ranged from Abram Stevens Hewitt in Stockholm to Theodore Morde, a Reader’s Digest correspondent in Ankara. Inevitably, Schellenberg discovered a go-between with lines to Allen Dulles, and early in 1943 a series of discussions ensued. Thus opened the contested exchanges between “Mr. Bull” (Dulles) and “Mr. Pauls” (prince Egon zu Hohenlohe-Langenburg). Max Hohenlohe had long been an international-set acquaintance of Dulles, a bustling, polished socialite from the Sudetenland whose status as a minor royal drew customers for munitions from the Skoda works, a concession Schellenberg helped him snag. Hohenlohe already bestowed over vast landed properties in Spain after marrying into the Hapsburg family; he was currently hedging his political future by traveling on a Lichtenstein passport. A Canaris familiar, Prince Hohenlohe caught Schellenberg’s attention early in 1942 by sending the rising SD official his own jaundiced appraisal of prospects in Europe. With the all-seeing SD Commander Reinhard Heydrich assassinated at the end of May, possibilities had obviously widened for the opportunistic Schellenberg. Barely thirty, scarcely beyond his baby fat, the Amt VI chieftain resembled an SS doll decked out in death’s-head campaign hat and tailored parade uniform. With Schellenberg’s cautious sponsorship, Max Hohenlohe trotted out a line of provisional peace proposals, first with the British Ambassador Sir Samuel Hoare—always a soft touch—and the sympathetic American Counselor of Embassy Wlliam Walton Butterworth (an intimate of George Kennan’s since Princeton), with Vatican sympathizers, with Fritz Klein, (a friend of both the Dulles brothers), and—evidently at the recommendation of American negotiators in Lisbon, where Kennan and Colonel Solborg were stationed—with Allen Dulles himself toward the middle of February 1943. Exactly what was agreed upon has become a matter of dispute, largely because the SS summations of the exchanges appear to have passed through Russian hands on their way to the archives, after which the USSR News Services waited until 1948 and the upheavals of the Cold War to put them out as dispatches. Nevertheless, much of their thrust is borne out by related RSHA paperwork, private journals, and intelligence files from a variety of sources. This has the look of crumbs spread upon the water. Pronouncements alternated with rich meals in a Liechtenstein chateau; Hohenlohe bit by bit exposed his quasi-official status as a spokesman for SS elements within the German government who now looked beyond the “wild men” in control. The resultant “Greater Germany” would backstop the “formation of a cordon sanitaire against Bolshevism and pan-Slavism through the eastward enlargement of Poland and the preservation of a strong Hungary.” This “Federal Greater Germany (similar to the United States), with an associated Danube Confederation, would be the best guarantee of order and progress in Central and Eastern Europe.” . . . .
. . . . An Abwehr officer, F. Justus von Einem, later claimed to have sat in on a carefully prepared meeting at Santander in Spain in the summer of 1943 during which both Menzies and Donovan agreed to Christian Wester terms as recapitulated by Canaris personally. If this exchange occurred, Donovan kept it quiet. Such exploratory talks pointed well beyond the uproar of the moment. “I have known Max Hohenlohe since the days of the war,” Dulles assured a lawyer at Sullivan and Cromwell in 1965, apropos a legal favor requested by the aging prince, “when he worked with me on some rather difficult and delicate problems.” The exchanges in Liechtenstein amounted to a reconnoitering. . . .
6. Interesting perspective on the Hapsburg/U.S./Underground Reich alliance and the sensitive nature of the dealings of OSS/Wall Street operatives like Donovan and Dulles can be gleaned by the account of the frequently lethal attempts by four different authors to write the account of the OSS from the organization’s microfilmed files. When former Lieutenant Edwin J. Putzell fell seriously ill, he destroyed his copy of the microfilmed files. We remind listeners, in this context, that major intelligence services have possessed toxins that will kill without leaving a trace for a very long time. 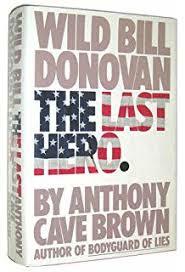 The Last Hero by Anthony Cave Brown; New York Times Books [HC]; Copyright 1982 by Anthony Cave Brown; ISBN 0-8129-1021-4; pp. xi-xii. In what was his last act of World War II, Major General William J. Donovan, director of the Office of Strategic Services, the first American secret intelligence and special operations service and the organization from which sprang the CIA, spent several nights at OSS headquarters in Washington, D.C., with his executive officer, Lieutenant Edwin J. Putzell, Jr., microfilming the director’s files. Doing the work themselves because of the political sensitivity of the documentation, they produced two copies; Donovan took possession of one, Putzell the other. The purpose of this large operation was to provide the basis of history of Donovan’s incumbency when that became politically possible. Several starts were made on the work. Professor Conyers Read, the Harvard historian, produced many draft chapters before Donovan himself asked him to stop work, because he felt the director’s papers were still too sensitive. Read did not resume his work, for death intervened. One of Donovan’s wartime majors, Corey Ford, then began work on the project in the mid-1950’s, producing a draft manuscript of what was really a biographical history of Donovan and the OSS, but again death intervened before Ford could complete his volume. After Donovan’s death in 1959, the project was taken over by Whitney Shepardson, Donovan’s chief of secret intelligence during World War II. For the third time, the author died before completing the work. Then came the fourth attempt, this time by Cornelius Ryan, the author of The Longest Day. However, although Ryan had the support of Donovan’s friends President Dwight D. Eisenhower and Allen W. Dulles, then director of central intelligence, the work was stopped before it really began; a middle-rank official at the CIA managed to stop the project because he believed the book contemplated by Ryan would be too controversial. When he found himself denied access to the director’s files, Ryan was compelled to abandon the project temporarily. Then he, too died before it was possible to resume work. In all these attempt none of the authors saw the microfilm, except Read, who saw two or three reels having to do with the OSS’s formation. During this time Putzell had been taken so seriously ill that he burned his copy of microfilm rather than leave it unguarded in his estate should die. Happily, Putzell did not die; nonetheless, the only copy of the microfilm outside the CIA (where in 1982 it was still classified) was Donovan’s. . . .
It’s looking like the legal threat facing Paul Manafort over his “Hapsburg Group” activities is suddenly much more threatening thanks to an apparent attempt by Manafort to influence witnesses. Because Manafort apparently engaged in witness tampering in an attempt to ensure witnesses to the Hapsburg Group operation could get their stories straight. And this witness tampering all allegedly happened multiple times. once in twice February and April while Manafort was out of jail on a $10 million bond. Specifically, the Mueller team is charging that Manafort’s witness tampering started shortly after February 23, the day when Manafort’s long-time consulting partner Rick Gates pleaded guilty and became a cooperating witness with the Mueller probe and the same day when the lobbying charges against Manafort over the Hapsburg Group lobbying were filed by Mueller. Manafort reportedly reached out to employees at a public relations firm over the following week using WhatsApp, the encrypted messaging app. He apparently wanted them to convey a message to the people in Europe associated with the Hapsburg Group effort. A message about how important it is that everyone agree that the Hapsburg Group never ever lobbied the US. Only the EU. He reached out to one employee/witness in late February, but when that person hung up or ignored his messages he had an intermediary start texting them over WhatsApp too. The intermediary wanted to make it clear that Manafort wanted everyone involved with the Hapsburg Group to agree that it didn’t involve US lobbying. Then in April, the intermediary reached out to a different employee/witness of this public relations firm to basically make the same request send a message to the people involved with the Hapsburg Group. So Manafort had a strong desire to have everyone get their stories straight. Keep in mind that Manafort already faced potential charges of not registering as a foreign lobbyist in violation of the Foreign Agents Registration Act (FARA) over his work for the Yanukovych government. And the Hapsburg Group lobbying effort did indeed involve US lobbying according to reports so Manafort has an incentive for witness tampering based on that alone. It’s just kind of amazing he did it and got caught because it looks like it’s back to jail for him at this point. And that’s more legal leverage for Mueller over Manafort so it will interesting to see how that plays out. WASHINGTON — Federal prosecutors on Monday accused President Trump’s former campaign chairman, Paul Manafort, of attempting to tamper with witnesses in his federal tax and money laundering case. In court documents, prosecutors working for the special counsel, Robert S. Mueller III, said that violated the terms of Mr. Manafort’s release while he awaits trial. They asked a federal judge to revise those terms or send him to jail until trial. Prosecutors said that Mr. Manafort tried to contact witnesses by phone, through an intermediary and through an encrypted messaging program. One witness told the F.B.I. that Mr. Manafort was trying to “suborn perjury,” prosecutors said. Two witnesses provided the texts to the F.B.I., which also searched Mr. Manafort’s cloud-based Apple account, according to court records. A lawyer for Mr. Manafort did not respond to a message seeking comment. Neither the witnesses nor the intermediaries were named. Mr. Manafort served as Mr. Trump’s campaign chairman only briefly, but the relationship continues to haunt the Trump administration. Mr. Manafort is accused of violating federal lobbying, tax and money laundering laws as part of a complicated scheme in which he he lobbied for a pro-Russia party in Ukraine and hid proceeds in foreign bank accounts. The witnesses at issue in Monday’s court filing relate to allegations that Mr. Manafort secretly retained a group of former European officials to act as lobbyists on issues related to Ukraine. Mr. Manafort paid them 2 million euros in 2012 and 2013, according to court documents. Prosecutors say that was part of a secret lobbying campaign in the United States. Mr. Manafort argues the lobbying was focused on the European Union — a key point in his defense. In court documents, prosecutors accused Mr. Manafort of trying to reach members of a public relations firm who could get word to the Europeans and help shape their story. “They should say their lobbying and public relations work was exclusively in Europe,” one of the public relations officials told the F.B.I. according to court documents. Prosecutors provided the judge a summary of contacts that they said were made from February to April, while Mr. Manafort was under house arrest on a $10 million bond. When that witness avoided him or hung up, prosecutors said, Mr. Manafort worked through an unidentified intermediary. “Basically P wants to give him a quick summary that he says to everybody (which is true) that our friends never lobbied in the U.S., and the purpose of the program was E.U.,” the intermediary wrote in a Feb. 28 WhatsApp message, according to court documents. Then in April, the same intermediary sent a message to another person. “My friend P is looking for ways to connect to you to pass you several messages. Can we arrange that,” the message read, according to court documents. It is not clear exactly how the authorities learned of the communications, but prosecutors said that the witnesses provided them with copies of the messages in recent weeks. Mr. Mueller’s team has previously complained about Mr. Manafort’s actions while he awaits trial. Prosecutors said last year that Mr. Manafort and a longtime associate with ties to Russian intelligence helped draft an op-ed article about his lobbying work. So as we can see, the legal jeopardy Manafort faced over the Hapsburg Group is suddenly a lot worse. Thanks to Manafort’s attempts to communicate a cover story. A cover story that no US lobbying was involved (aren’t there congressional witnesses in all this?). Which really is another remarkable twist in all this when you consider that the Hapsburg Group lobbying effort appears to have been an effort by Manafort to move Ukraine closer to the West and was was all about getting past US and EU reservations about allowing Ukraine into a trade union with the EU. That was what the Hapsburg Group was all about. And Viktor Yanukovych’s arch-rival Viktor Yushchenko was also reportedly involved with it. And that pro-Western nature of the Hapsburg group all makes it an even bigger twist if Manafort was motivated to do this witness tampering over concerns of additional charges of not registering as a foreign lobbyist. But that’s where we are. Finally, keep in mind that Trump has already basically pre-colluded with Manafort by making it egregiously clear he’ll use his pardon powers with wild abandon. Something he’s made clear for quite some time. It raises a fascinating question: did Trump’s aggressive signaling of a willingness to pardon people lead to Manafort being this cavalier in his witness tampering shenanigans? Because having an intermediary follow up after you’re initial attempts at witness tampering fail is pretty cavalier. And this witness tampering effort by Manafort most certainly makes him a bigger potential threat to Trump so it would be a little ironic if Trump’s pardon-signaling ended up making people like Manafort act with wild abandon in ways that made them actually bigger threats to Trump by exposing themselves to bigger legal jeopardy. Like a political Monkey’s Paw: A seemingly magical source of power that fulfills your wishes with terrible consequences. That sure sounds like Trump’s pardon power these days. Could it be that a presumed pardon played a role in fueling Manafort’s high-risk scheming? Or was it not actually all that high-risk? Don’t forget that the Mueller probe has its hands on those texts because the witnesses handed them over. So how many other witnesses is Manafort, or anyone else in this investigation, communicating with over WhatsApp or other encrypted communication technologies? Who knows, but it’s going to be interesting to see how many more ‘get our stories straight with encrypted communications’ stories we see emerge from all the other figures involved in this as the Mueller probe plays out. It’s hard to imagine Manafort is the only one sending WhatsApp inquiries. Just imagine how many similar WhatsApp conversation Roger Stone has had. And even if such stories don’t emerge, it seems like a given that such communications are taking place and just not caught. And it’s hard to imagine they aren’t all finding comfort in Trump’s increasingly-itchy pardoning-hand while they are all sending these criminal texts. That’s all part of what makes this an interesting story: it’s both important in terms of understanding Paul Manafort’s story and also a reminder that encrypted communications collusion attempts are probably happening all the time in major legal cases these days. That wasn’t an option in the past but it is now. For all we know it could very well be the Golden Age of witness tampering and collusion (and we wouldn’t know if it really is the Golden Age). Manafort’s big mistake was using WhatsApp to contact witnesses that were willing to turn those messages over to the FBI. And that points to another Monkey’s Paw-like It’s one of the reasons flipping someone like Rick Gates is potentially such a big deal: these encrypted communications platforms that promise users messaging capabilities outside of law enforcement might very well encourage collusion and witness tampering while simultaneously encouraging the the documentation of that witness tampering and collusion. And that means just one person can flip and turn over a whole bunch of new evidence. Just imagine how many messages Rick Gates sent and received over WhatsApp or other encrypted communication platforms about the Mueller investigation before he flipped. Same with Manafort and all the other people in this mess who haven’t flipped (and some who have). They are probably trying to secretly communicate all the time. Most of the time it probably goes undetected but when they get caught, as in this case with Manafort, the consequences can be significant. These encrypted communication platforms both encourage conspiracy and help expose it. It’s pretty fascinating in a Monkey’s Paw-ish way. If Trump ends up pardoning Manafort over the witness tampering documented in his WhatsApp chats it will be like a Monkey’s Paw double-down, using the pardon Monkey’s Paw to cancel out the negative consequences of the encryption-enable collusion Monkey’s Paw (Monkey’s Paw double-downs don’t go well). It’s all thematically quite appropriate when you consider how Trump, himself, is sort of the Monkey’s Paw of politicians: the political change he brings comes with extremely tragic consequences. It’s a package deal. So how is all this going to play out for Manafort given that he’s simultaneously facing increasingly legal peril from Mueller and increasing legal freedom from Trump? Who knows, but we’re well into Trumpian Monkey’s Paw territory so we can be sure it will involve some sort of amazing tragedy. And it’s back to jail for Paul Manafort. Recall that Manafort’s jailing is over the witness tampering he’s now accused of after it was discovered that he (and later Konstantin Kilimnik too) was secretly trying to contact the various other figures associated with the “Hapsburg Group” diplomatic initiative to make sure they were all on the same page regarding the cover story that the “Hapsburg Group” had nothing to do with their lobbying of the US government to avoid charges that he violated the Foreign Agents Registration Act (FARA). Who knows what possible legal defense he has at this point. It’s worth noting the comical defense Manafort’s lawyer had to the witness tampering charges: “The special counsel’s disagreement with Mr. Manafort’s view of this case … does not make it a crime for Mr. Manafort to communicate his view to others, especially when he is not aware of who the Special Counsel may view as witnesses.” That was Manafort’s defense. He was merely reaching out “to others” to “communicate his views” and he had not idea these people were potential witnesses. That was Manafort’s defense even though the “others” he was trying to contact in this case was the European members of Hapsburg Group. So it doesn’t look like Paul Manafort’s legal defense is going to fare very well given his blatant witness tampering. And we still don’t know the name of this public relations firm or the two people Manafort and Kilimnik reached out to. But there is one particular organization that seems like a likely suspect: the European Centre for a Modern Ukraine. That’s the Brussels-based organization set up in 2012 that actually arranged for the various Hapsburg Group lobbying events in Europe. It appears to have been set up by Viktor Yanukovych’s Party of Regions for the purpose of lobbying European governments and the US to get Ukraine into a the EU-Ukraine trade union over Western objections. And, critically for Manafort’s legal situation, the European Centre for a Modern Ukraine was intended to obscure the Ukrainian government as the source of that lobbying effort. And as the following article from Ukrainian Week back in April points out, the legal defense Manafort had against the charges that he was secretly orchestrating the Hapsburg Group hinges on the fact that the European politicians who led the lobbying effort, like former Austrian Chancellor Alfred Gusenbauer, only directly interacted with two organizations in his lobbying efforts: this obscure European Centre for a Modern Ukraine and two American lobbying firms, Mercury LLC. Of course, as we’ve seen before, Mercury LLC is an American lobbying firm that was reportedly hired by Manafort (along with the Podesta Group) to orchestrate the Hapsburg Group lobbying efforts. And Mercury LLC and the Podesta Group brought these European politicians to the US to lobby US congressmen. So if it turns out that Manafort really was behind the lobbying work the European Centre for a Modern Ukraine and Mercury LLC and the Podesta Group, he won’t have much of a legal defense. But if he can indeed successfully argue that he was not, in fact, orchestrating the work of the European Centre for a Modern Ukraine Manafort just might be able to pull off that defense against a FARA violation. That appears to be the key point he needs to make in his defense unless he has a completely different legal strategy. The Hapsburg Group: Old Europe at Yanukovych’s service? He served the shortest term as Chancellor of Austria in the country’s post-war history, although his entire professional life had been dedicated to his Social Democratic Party. Western media include him in lists of those who have advised authoritarian leaders, in particular the president of Kazakhstan, Nursultan Nazarbayev. Prior to the last parliamentary elections in Vienna, he advised his colleague, Social Democratic Party chairman Christian Kern, to use the services of Israeli political strategist Tal Silberstein, which transformed the election campaign into the dirtiest in Austrian history. He first came to prominence in Ukraine as head of the supervisory board of the Sustainable Ukraine Foundation, run by former Prime Minister Mykola Azarov’s son. Now, everything indicates that he led the so-called Hapsburg Group – a group of “super VIP” European politicians that Paul Manafort hired to whitewash the image of the Yanukovych regime in the West. All this is only a small detail in the biography of former Austrian chancellor Alfred Gusenbauer. The charge against Paul Manafort, published on the website of the US Department of Justice, refers to the so-called third part of Manafort and Richard Gates’ lobbying scheme in favour of former Ukrainian President Viktor Yanukovych. In 2012, Manafort hired a group of former “top-level European politicians” to voice positions that were beneficial to Ukraine in the EU and US. Informally, they were dubbed the Hapsburg Group, evidently bearing in mind the common history of the politicians’ home countries with the Habsburg dynasty, although the spelling was changed a little. According to Manafort, these, in his own words “super VIP” and “extremely influential”, European politicians would be able to act informally, without any visible link to the then Ukrainian government. The group was managed by politician A, a former European chancellor who coordinated his efforts with Manafort. In order to hire these politicians, a non-governmental organisation was created that allegedly acted according to Manafort’s instructions. The charge states that in 2013 or close to that time, the group, alongside politician A, went to Washington in order to provide lobbying services to politicians and congressmen there. So who are these politicians and did they have direct contact with Manafort and Yanukovych? Since only two European countries have the position of “chancellor” in their governments, it does not require a lot of detective work. Although the document published by the US Department of Justice does not mention any names, media outlets around the world immediately began to report that the group of lobbyists was presumably headed by former Austrian Chancellor Alfred Gusenbauer. Subsequently, official confirmation was found in the FARA database (Foreign Agents Registration Act – a statute providing for the registration of all agents acting on behalf of a foreign state in the US). In particular, it contains information about former Republican congressman Vin Weber’s lobbying company Mercury LLC, which appears in special prosecutor Robert Mueller’s investigation as it was hired by Paul Manafort to provide services to the European Centre for a Modern Ukraine, a Brussels-based NGO. The main objective of the latter was to improve the image of the Yanukovych regime in the West, although officially it was presented under the guise of rapprochement between Ukraine and the EU. The centre was led by German Ina Kirsch. In particular, the Mercury LLC report for FARA states that the company decided to launch a series of awareness raising events and meetings with congressmen, representatives of think tanks and the media in order to highlight the work of the Ukrainian government towards joining the pantheon of Western democracies. Their speakers were representatives of the Ukrainian government and experts from the EU, including ex-president of Poland Aleksander Kwasniewski, former Austrian Chancellor Alfred Gusenbauer and former Italian Prime Minister and European Commission head, Romano Prodi. These activities from Mercury LLC were commissioned by the aforementioned Centre in Brussels. Gusenbauer, however, denies the allegations that he worked for Yanukovych’s regime: “I was never involved in activities for Yanukovych or the Party of Regions,” the ex-chancellor of Austrian stated to the APA when the first suspicions and allegations came to light. In 2012-2013, he was allegedly interested in bringing Ukraine closer to the EU. He added that he had taken part in events in Paris, Brussels and Berlin, so that the EU would conclude an association agreement with Ukraine, but after it became apparent in 2013 that there was no perspective of this happening, he stopped working on it. Gusenbauer also said that his activities were “rewarded”, but did not specify anything about the financial details. On the whole, it is difficult to disagree with the Austrian Chancellor when he says that he did not work directly for the Party of Regions and Viktor Yanukovych. He had direct contact only with the European Centre for a Modern Ukraine and the American lobbyist organisation Mercury LLC, although Manafort’s charge also suggested that the “former European Chancellor” acted “in concert with Manafort”. The Austrian magazine Profil.at has calculated that in 2012-2013 Gusenbauer acted as a paid adviser at a minimum of 6-7 events in the EU. He participated in most of them alongside Romano Prodi and Aleksander Kwasniewski. Indeed, on September 20, 2012, Gusenbauer, Prodi and others discussed the topic of “Ukraine on the road to European integration” at the Gartenhotel Altmannsdorf hotel. Gusenbauer was represented there as chairman of the Renner Institute, the political academy of the Austrian Social Democrats (leadership of this organisation was passed to the current head of the Social Democratic Party, Christian Kern, last December). As Profil writes, press releases on the institute’s website reference a discussion between Gusenbauer and Prodi during this event. In October 2012, Gusenbauer, Prodi and Kwasniewski, as well as Günter Verheugen, former EU Commissioner for Enlargement in the Romano Prodi Commission, participated in a meeting initiated by the European Centre for a Modern Ukraine entitled “Ukraine and the EU: Elections, Integration and Economic Prospects” . It was organised by the German Committee on Eastern European Economic Relations and the German Council on Foreign Relations (DGAP) analytical centre. In November of that same year, three of the aforementioned politicians attended the conference “Ukraine: A Strategic Crossroads for Europe”. The event was also covered by The Ukrainian Week in an article that suspected Gusenbauer of lobbying for Viktor Yanukovych. Another event, according to Profil, took place the following March in Rome, and the same trio was again present. On 5-6 June 2013, Gusenbauer was in Washington, where he met American congressmen alongside representatives of Mercury LLC. Romano Prodi went to Washington in the spring for the same reason. In June, Gusenbauer moderated the discussion “Ukraine on the Road to Vilnius: Prospects for Signing an Association Agreement” in Brussels, in which Romano Prodi also participated. In September 2013, the three politicians met again to participate in a conference on Ukraine in Paris. The Renner Institute was an official co-organiser of this event. Like Alfred Gusenbauer, Romano Prodi and Aleksander Kwasniewski deny lobbying in favour of Viktor Yanukovych. In a recent interview referred to by The New York Times, Romano Prodi claims that he has never heard of any Hapsburg Group. “It was Gusenbauer heading the group. We made every effort to have peace in Ukraine,” he commented. According to him, experts and ex-politicians met at various events and conferences, but later disbanded when it became clear that “a stronger relationship with the European Union was impossible”. Ex-president of Poland Alexander Kwasniewski also rejected the allegations of collaborating with Manafort in the local press, saying that he had seen the latter only two or three times during his mission to Ukraine in 2012 and 2013. “At the time, he [Paul Manafort – Ed.] was an adviser to President Yanukovych, whom I also met, so it is natural that our paths crossed several times,” commented Kwasniewski. In addition, journalists from Tagesschau.de questioned ex-European Commissioner Günther Verheugen regarding his links with the European Centre for a Modern Ukraine and possible remuneration for participating in events on Ukraine in 2012-2013. He also denies receiving fees for participating in them. So if the public relations firm that Manafort reached out to over WhatsApp to engage in witness tampering happens to be either the European Centre for a Modern Ukraine or Mercury LLC or the Podesta Group, that’s going to be really bad for Manafort’s defense. Not that he had that much of a defense at this point (beyond, of course, the defense that he was actually trying to pull Ukraine into the Western orbit). But note who else was working on this lobbying effort: Günter Verheugen, former German politician who was EU Commissioner for Enlargement (the commissioner in charge of allowing new countries into the EU). Back in November 2017, Verheugen publicly blasted Angela Merkel for opposing Turkey’s bid to joing the EU, so he seems to be very much in favor or expanding the EU. Recall the previous reports about how SPD leader Martin Schultz was working with these Hapsburg Group politicians in their lobbying efforts, so this is a further indication of German efforts working with the Hapsburg Group. So who knows, maybe one of Manafort’s best defenses at this point is that those German efforts were the real guiding force behind the Hapsburg Group’s lobbying. So if it turns out Manafort’s witness tampering was done to get all of those politicians on the same page regarding the story they were going to tell about the US lobbying efforts that’s going to make these denials look pretty hollow. All in all, it’s looking pretty awful for Paul Manafort. But it’s worth noting that much of the information about this Hapsburg Group case was actually reported back August of 2016 just days before Manafort stepped down as Donald Trump’s campaign chairman. The writing was on the wall early on. For instance, check out the following Associated Press article from August 17, 2016. The article talks about the European Centre for a Modern Ukraine and its role leading lobbying efforts in the US via Mercury LLC and the Podesta Group. And in this article we have some remarkable admissions from people involved with this case. For starters, Manafort’s long-time partner Rick Gates, who is now cooperating with the Mueller probe, telling the AP that he and Manafort introduced the Podesta Group and Mercury LLC to the Centre and occasionally consulted with the firms on Ukrainian politics. After being introduced to the lobbying firms, the Centre paid the Podesta Group $1.13 million between June 2012 and April 2014 to lobby Congress, the White House National Security Council, the State Department and other federal agencies and paid the $1.07 million to Mercury LLC to lobby Congress, according to U.S. lobbying records . So the Centre’s work orchestrating the US lobbying efforts is indisputable at this point. It’s just a question of how whether or not Manafort orchestrated the Centre’s actions. And according to a former Podesta employee, Rick Gates described the Centre’s role in an April, 2012 meeting as supplying a source of money that could not be traced to the Yanukovych government. Adding to Manafort’s legal woes is the contradictory statements about how the Centre’s working with the Podesta Group and Mercury LLC got started in the first place. According to Tony Podesta, his firm worked closely with the Centre and with Gates simultaneously. But Podesta said Gates was not working for Yanukovych’s political party and said Manafort was not involved. Additionally, John Ward Anderson, a current Podesta employee who attended the meeting April 2013 meeting with Gates, claims, “I was never given any reason to believe Rick was a Party of Regions consultant…My assumption was that he was working for the Centre, as we were.” So Rick Gates, Manafort’s long-time right-hand man, was apparently working so closely with the Centre that Podesta Group employees assumed he worked for it. Or at least that’s what they claimed. And Rick Gates told the AP that he was working with Manafort and that both he and Manafort were working for Yanukovych’s party. Yep. That couldn’t have pleased Manafort to read that. And Vin Weber, who heads Mercury LLC, told the AP that Manafort discussed the project before it began in a conference call with Podesta and himself. The director of the Centre, Ina Kirsch, told the AP her group never worked with Manafort or Gates and said the group hired the Washington lobbyists on its own. She said she had met with Manafort twice but said neither Manafort nor Gates played a role in its lobbying activities. WASHINGTON (AP) — Donald Trump’s campaign chairman helped a pro-Russian governing party in Ukraine secretly route at least $2.2 million in payments to two prominent Washington lobbying firms in 2012, and did so in a way that effectively obscured the foreign political party’s efforts to influence U.S. policy. The revelation, provided to The Associated Press by people directly knowledgeable about the effort, comes at a time when Trump has faced criticism for his friendly overtures to Russian President Vladimir Putin. It also casts new light on the business practices of campaign chairman Paul Manafort. Trump shook up his campaign organization Wednesday, putting two new longtime Republican conservative strategists as chief executive officer and campaign manager. It was unclear what impact the shakeup would have on Manafort, but he retains his title as campaign chairman. The lobbying firms continued the work until shortly after Yanukovych fled the country in February 2014, during a popular revolt prompted in part by his government’s crackdown on protesters and close ties to Russia. Among those who described Manafort’s and Gates’s relationship with the nonprofit are current and former employees of the Podesta Group. Some of them spoke on condition of anonymity because they were not authorized to reveal details about the work and because they remain subject to non-disclosure agreements. Gates told the AP that he and Manafort introduced the lobbying firms to the European Centre nonprofit and occasionally consulted with the firms on Ukrainian politics. He called the actions lawful, and said there was no attempt to circumvent the reporting requirements of the U.S. Foreign Agents Registration Act. The heads of both lobbying firms told AP they concluded there was no obligation to disclose their activities to the Justice Department. Manafort did not directly respond to AP’s requests to discuss the work, but he was copied on the AP’s questions and Gates said he spoke to Manafort before providing answers to them. Political consultants are generally leery of registering under the foreign agents law, because their reputations can suffer once they are on record as accepting money to advocate the interests of foreign governments — especially if those interests conflict with America’s. The foreign agent law is enforced by a relatively small division within the counter-espionage section of the Justice Department’s National Security Division. Its powers are limited because it can’t compel lobbying firms or others to turn over documents without a judge’s approval, but investigators routinely monitor news reports for evidence of cases that raise suspicions about possible violations. Clinton’s campaign manager, Robby Mook, did not urge an inquiry Wednesday, but said voters should scrutinize any links between Trump’s staff and Russian political interests. The intent of using the two lobbying firms was unclear, but ironically, one of firms Manafort and Gates worked with has strong Democratic and Clinton ties. The nonprofit also paid $1.07 million over roughly the same period to Mercury to lobby Congress. Among other issues, Mercury opposed congressional efforts to pressure Ukraine to release one of Yanukovych’s political rivals from prison. A legal opinion drafted for the project for Mercury in May 2012, and obtained by AP, concluded that the European Centre qualified as a “foreign principal” under the Foreign Agents Registration Act but said disclosure to the Justice Department was not required. That determination was based on the nonprofit’s assurances that none of its activities was directly or indirectly supervised, directed, controlled, financed or subsidized by Ukraine’s government or any of the country’s political parties. The Podesta Group’s CEO, Kimberley Fritts, said the two lobbying firms had coordinated on the legal conclusion that disclosure was not necessary to the Justice Department. “If counsel had determined FARA was the way to go, we would have gladly registered under FARA,” she said in a statement to the AP. She said the nonprofit provided a signed statement affirming its independence from Ukraine’s government. People involved in the lobbying project offered contradictory descriptions of how it came about. Podesta told the AP his firm worked closely with the nonprofit and with Gates simultaneously. But Podesta said Gates was not working for Yanukovych’s political party and said Manafort was not involved. Gates, in contrast, told AP he was working with Manafort and that both he and Manafort were working for Yanukovych’s party. Pointing to Manafort’s involvement, Weber told AP that Manafort discussed the project before it began in a conference call with Podesta and himself. The director of the European Centre, Ina Kirsch, told the AP her group never worked with Manafort or Gates and said the group hired the Washington lobbyists on its own. She said she had met with Manafort twice but said neither Manafort nor Gates played a role in its lobbying activities. The center has declined for years to reveal specific sources of its funding. Lobbyists in general prefer not to register under the foreign agents law because its requirements are so much more demanding, making their activities more open to public scrutiny. The Justice Department, for example, requires those who register as lobbyists on behalf of foreign governments or parties to detail the home addresses of lobbyists and descriptions of all receipts, payments, political contributions and details about any lectures, emails, pamphlets or press releases they create. Lobbying records filed in the U.S. Senate, in contrast, such as the ones describing payments to the Podesta Group and Mercury by the European Centre, are far less detailed. The Justice Department’s own published guidelines describe foreign political parties as covered under the law. Don’t forget, this report was from when Manafort was still Trump’s campaign chairman. He was already getting thrown under the bus that early on. It’s kind of remarkable. So that all makes Gate’s alleged admission that the Centre was intended to hide the Ukrainian government’s funding pretty incriminating. It also makes it that much more remarkable that they had Party of Regions members on the board. Again, it wasn’t the best front-group effort. So that’s a pretty big conflict of explanations of the role Manafort, and especially Rick Gates, played in this lobbying effort. So we have the Podesta Group and Mercury LLC basically implicating both Gates and Manafort in the Centre’s work, but they all give slightly different stories. In that sense, Manafort’s decision to take the extraordinary risk of reaching out to everyone over WhatsApp to get their stories straight is at least somewhat understandable. They clearly needed to coordinate if they were going to put up a plausible story because everyone had a different story and most of those stories somehow threw Manafort under the bus. You don’t have a lot to lose when you’re already under the bus. Note that the “Ukrainian Weekly” is very closely associated with the OUN/B, and its former assistant editor–Michael Bociurkiw–heads the OSCE group monitoring affairs in Ukraine. Bociurkiw was one of the first people on the site of the crash of Malaysia Airlines flight MH17. He also has close ties to the Malaysian Muslim Brotherhood. This is worth remembering, in the the “Ukrainian Weekly” story mentions nothing about Viktor Yuschenko, who was also involved with this milieu and who, of course, is part and parcel to the OUN/B successor organizations now in ascendance in Ukraine. @Dave: Here’s a Ukrainian Week article from 2012 that’s actually a great example of that OUN/B orientation of the publication. It’s the article that was linked to in that April 2018 Ukrainian Week article. The 2012 article appears to show the “Hapsburg Group” lobbying in action. It’s about two events organized in Paris and London intended to allow representatives of the Ukrainian government to make a pro-Ukrainian case to that Ukraine should be allowed. And those representatives are indeed Alfred Gusenbauer and Alexander Kwasniewski. The piece mentions how the outreach events were arranged by the European Centre for a Modern Ukraine, the Brussels-based organization set up by the Yanukovych government to act as the front group for this lobbying effort by the Ukrainian government to move Ukraine close to Europe. As the article makes clear, this lobbying effort was met with general skepticism by the European audience, highlighting how much resistance there was within Europe to having Ukraine join the trade association due to the jailing of Yulia Tymoshenko. Keep in mind that the “notorious language bill” was a bill that made Russian an official language. Not the ONLY official language. Ukrainian was still an official language. But making Russian an official language was apparently a reasonable justification for voters to support a far right party of Svoboda according to the author. The piece then goes on to quote the British Conservative MP, John Whittingdale (who is on the advisory board of the British Ukrainian Society), who observed the Ukrainian parliamentary elections held a month earlier. Whittingdale expressed a lack of concern about the sudden surge in popularity Svoboda because he also concluded that it was mostly just patriots upset about the language bill. “Communication is first and foremost a war for the ears of your neighbour”, Czech writer Milan Kundera once said. This is especially true when it comes to political communication during elections. The Party of Regions’ mouthpieces were also competing for the ears of their neighbours, among them Western European researchers, MPs, senators and journalists. “The government must also explain its standpoint on the election”, a colleague in Paris once said. Indeed, the world has quite a few questions for the Ukrainian government after photos surfaced showing special Berkut police fetching ballots from polling stations in Pervomaisk and elsewhere. The latest protection campaign for the ruling party unfolded in Paris, led by PR MPs Leonid Kozhara and Ivan Popesku. They held no press conferences or other public events during the first week of November, yet met with interested parties in personal meetings, a source claimed. The PR has delegated its communications in France to Justine Gilles from Fleishman-Hillard Paris. She previously tried to arrange a visit of ex-president Viktor Yushchenko to Paris after placing a huge poster of Yulia Tymoshenko on the façade of the Paris mayor’s house. The attempt failed. Now she is offering interested parties the opportunity to meet with Leonid Kozhara, Deputy Head of the Verkhovna Rada Committee for Foreign Affairs, according to correspondence attained by The Ukrainian Week. The Presidential Administration is now relying upon Kozhara’s diplomatic expertise when it comes to its image in the West. The Ukrainian Week has tried to contact Justine Gilles for a meeting to speak with the president’s advisor about his comments on election violations. In an interview with the Russian newspaper Izvestia (The News), Kozhara once stated, “International observers are breaking the law by saying that Ukraine’s parliamentary election was undemocratic”. “Mr. Kozhara’s schedule is full,” Gilles replied by email, while Kozhara left for London to talk about the threat of Svoboda at the UK House of Commons. In her communication with the press and politicians, the PR’s French aide introduces herself as an activist from a “Brussels-based NGO monitoring Ukraine and everything linked to Ukraine’s EU integration”, and not as an employee of the well-known public relations company whose email address she uses. The NGO she mentions is known as the European Centre for a Modern Ukraine. Another aspect of the Centre’s activities is its selective approach to informing its Western audience, such as a mailing on access to the media sent prior to the election on October 7-10. The note stated in English and French that opposition parties received more airtime on Ukrainian television than pro-government parties. This is true according to the State Radio and Television Committee, but its list of opposition parties includes Natalia Korolevska’s party, whose promotional campaign outspent all other parties running in the election. On November 6, the outcome of Ukraine’s parliamentary election was discussed at the British Ukrainian Society roundtable at London’s Westminster parliamentary committee session hall. Ukraine’s Ambassador to the UK Volodymyr Khandohiy elicited grins from the crowd when he suggested that the Ukrainian and US elections had similarly unpredictable outcomes. However, the disparity between the two elections was clear the following day when the Americans had successfully completed their election and announced a winner while Ukraine was still counting ballots with the help of special police and mysterious burly men with journalist IDs two weeks after election day. Nobody else talked about similarities between the elections in Ukraine and the US that night. During the discussion, however, Kozhara was actually forced to admit that it was the actions of his party, including the passing of the notorious language bill, that pushed many voters to support parties promising to resist the government’s anti-Ukrainian initiatives. Another issue at the London discussion was the assessment of Ukraine’s prospects of drawing closer to Europe. The prospects did not sound too optimistic. Participants who were not part of the Ukrainian delegation often mentioned “selective justice” and comments from the audience gave the impression that the West still sees Tymoshenko’s case as a symbol of the current government’s nature. Leonid Kozhara struggled to dispel this, referring to the trial over Romanian ex-premier Adrian Nastase on charges of corruption, and assured Europeans that Kyiv simply had not had enough opportunities to explain its position to Europe. In response, he was told that he was speaking at the British parliament at the moment, and that Ukraine is represented in a number of European organizations and institutions which have been calling on its government to stop antidemocratic processes in the country, and have mostly been ignored. Therefore, nobody in London risked rejecting the prospect of Ukraine’s escalating international isolation. Kozhara’s diplomacy seemed to fail once again. According to The Ukrainian Week’s sources, the Presidential Administration is already looking for someone to replace him as its key mouthpiece in the West. On November 12, the Paris-based École Militaire hosted a conference titled “Ukraine: A Strategic Crossroads in Europe”, arranged by the Revue Défense Nationale (National Defence Review) magazine and Vienna-based Renner-Institut. Although the conference took place in Paris, the contacts for questions and references were Belgian. Backstage, Hryshchenko had a nice chat with some Western visitors whose speeches were quite friendly towards Ukraine’s government. Ex-Chancellor of Austria Alfred Gusenbauer was one of them. “Democracy is the victory of the majority over the minority. Some of the defeated in Ukraine cannot come to grips with their defeat, hence the problems,” he said. Alexander Kwasniewski claimed that the mixed election system “is definitely not good for Ukraine or other countries with insufficiently structured political systems”. “You can offer any system to a country, and some people will still criticize it no matter what,” Gusenbauer responded. Meanwhile, voter bribery, voter coercion and abuse of administrative resources in FPTP districts were not mentioned. “He must be a lobbyist from the Party of Regions,” suggested an international observer who had worked at the Ukrainian election as he listened to Gusenbauer. The conference went on as a sequence of speeches rather than a debate. No time was left for questions from the audience, so only the speakers had a chance to ask them. Sensitive or controversial issues were tackled very gently, with no reproach. “Imperfections or falsifications?” wondered Senator Hervé Maurey, Chairman of the France-Ukraine Friendship Group at the French parliament. Delivered in a somewhat worried tone, his speech seemed the most adequate reaction to the political developments in Ukraine. A competition for the ears of Ukraine’s Western European researchers, MPs, senators and journalists. That’s how this Ukrainian Weekly article from 2012 characterized the outreach effort that we now know as the “Hapsburg Group” lobbying effort. So, assuming this Ukrainian Week article was accurately describing the zeitgeist of these events, it sounds like the EU audiences targeted by this lobbying effort were generally resistant to the idea of Ukraine moving closer to the EU due to concerns about Yanukovych government, but they didn’t have much problem with the surging Ukrainian far right. And given the current treatment of the far right in Ukraine by the West, that 2012 Ukrainian Week depiction sounds pretty plausible. Covert Action has done an expose on daughter of the ABN founder Lev Dobriansky Paula Dobriansky about to become one of the most powerful people at State.